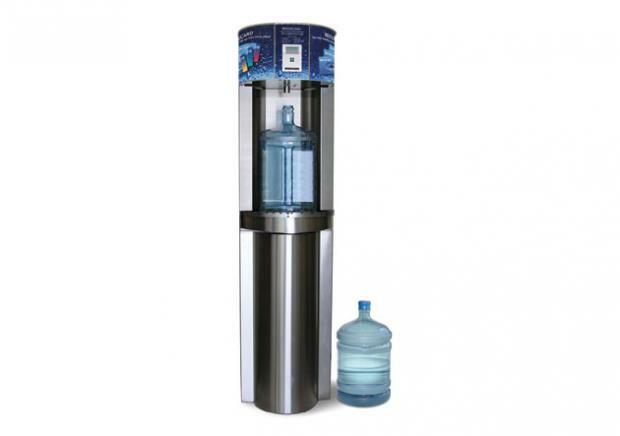 Sterling Systems supplies convenience stores and vending operators with purified drinking water dispensing systems. 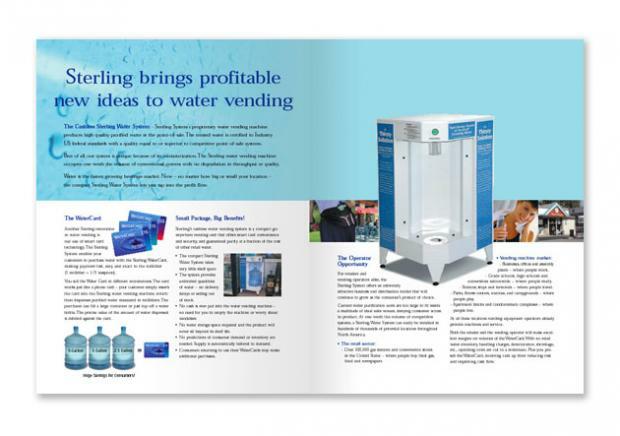 At one tenth the size of competitive dispensing systems, the Sterling water vending machine fits anywhere and operates with smart card technology. Retailers enjoy hassle-free service while reaping attractive profits. 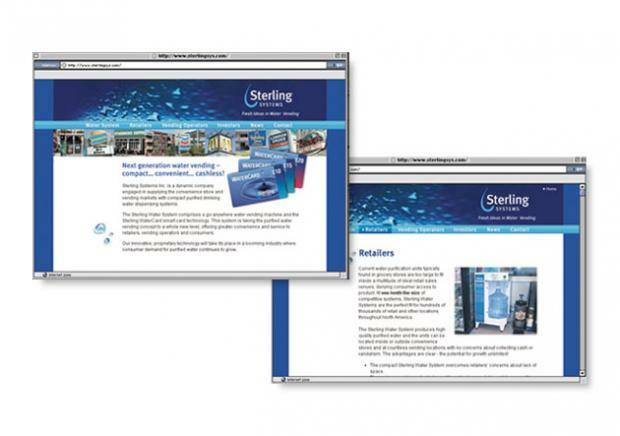 As Sterling was a start-up, NextPhase had to develop a total branding and marketing program from the ground up. 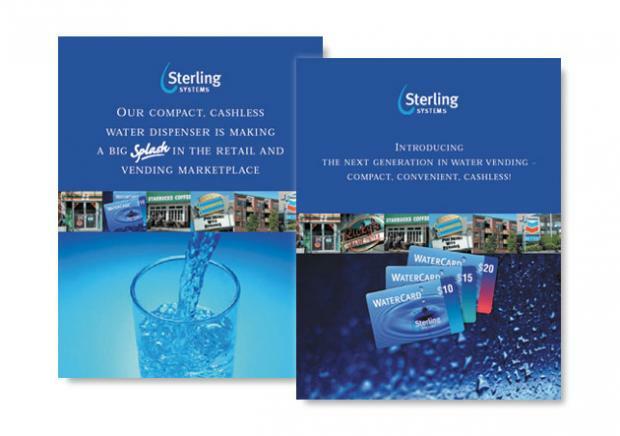 As an unknown in its targeted North American market, the mandate was to create a professional brand image that would communicate the top three benefits to potential investors and retailers – compact, convenient, cashless. The first step was to develop a corporate identity to form the foundation for the branding program. Then NextPhase created an online presence and complementary brochures to support the fundraising and sales efforts. 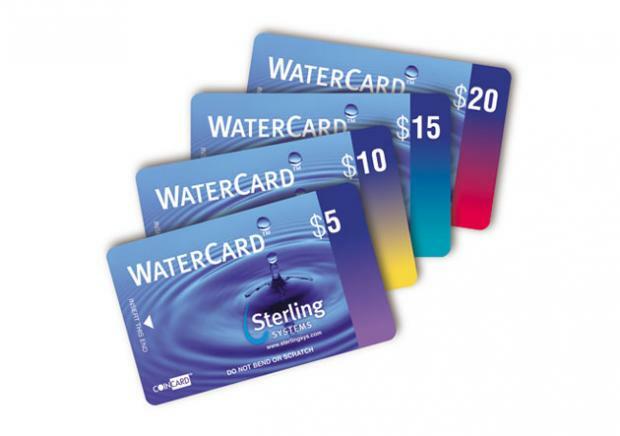 An added branded component was the unique WaterCard and the dispenser.